Charles Nix is a book designer, typographer, and design educator (and TDC Chairman of the Board). His firm, Scott & Nix, publishes books and products about science and nature. Their eBooks include: Brain Cuttings by Carl Zimmer, The Curious Death of Peter Artedi by T.W. 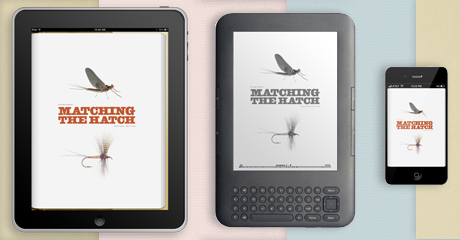 Pietsch, Matching the Hatch by Ernest Schwiebert, and The Mayfly Guide by Al Caucci. Registration: Registration is required and space is limited (20 attendees max.). To register, email Carol Wahler at director@tdc.org, or call 212-633-8943. To register online, click here. Fee: TDC members: $350 $275. Non-members: $425 $350. Advance payment required (by check or credit card). Cancellation fee: $50 for cancellations less than two weeks prior to the class date. To register online, click here.